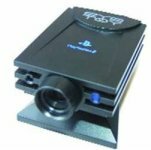 Following up on an old post about Sony PS2 EyeToy drivers for Windows, which got that old Playstation 2 EyeToy web camera working on Windows 32bit environments, I’ve finally managed to get drivers that work for 64 bit. Works for me on Windows 7. Haven’t tried it on Windows 8 yet but in theory it should work.